We are on the Virginia/West Virginia border on Va. 16/W.Va. 16 looking north. Another sign points towards War. A third sign tell us we are now in McDowell County, West Virginia. This is looking north on West Virginia 16 just north of the Virginia border and south of War. City of War welcome sign on West Virginia 16. This is downtown War. 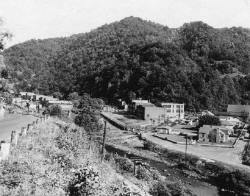 Like most of the mining communities in Southern West Virginia, War sits in a valley. 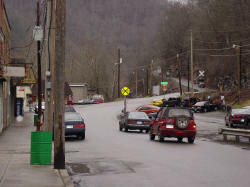 At this point, the valley is wide enough for [left to right}: a row of buildings, a main road (West Virginia 16), a railroad track (on top of the hill to the right of the SUV), a small street, and another row of buildings. This is City Hall. 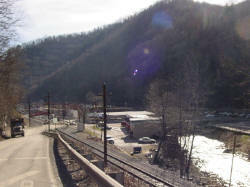 The building, which used to be a passenger railroad station, sits between West Virginia 16 and the railroad track. This is on the north end of War. Cross over the railroad tracks and go up the hill; that will take you over the mountain to Caretta and Coalwood. The road is WV16. View form WV16 looking south towards War. The station is in use today as War City Hall. 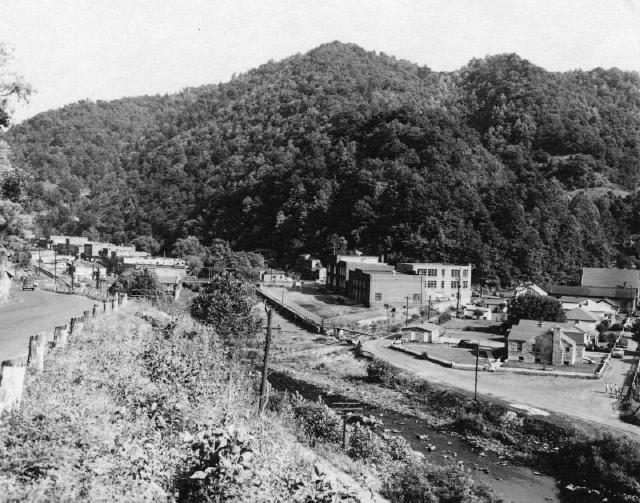 From left to right in the picture are: a row of businesses, WV 16, the War Railroad Station, the platform where people caught the train, and the N&W railroad track. See what was playing in the War, W.Va. theaters! Compliments of the R. Tim Gilley collection.